Too many lives are lost when children and animals are left in hot cars and Mobile Glass will no longer stand by idle. 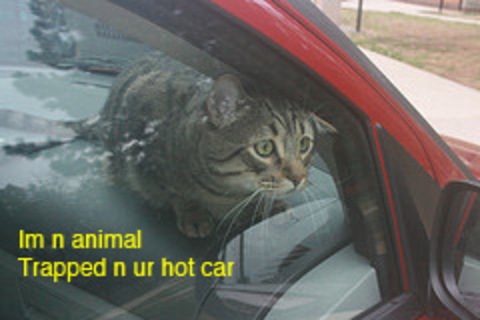 Almost everyday throughout the summer we all hear the stories of small children, dogs and even cats being trapped in hot cars. It’s time for Mobile Glass to take a stand in the best way we can with our #Smash2SaveALife Awareness Campaign. We want to get the word out that no one should worry about the cost of replacing a vehicle’s window when saving a life. Don’t hesitate, don’t wait, #Smash2SaveALife and we’ll pick up the tab for car window replacement. We want to do our part to help Good Samaritans in times of crisis. Mobile Glass offers free car window replacement for any vehicle’s window that was broken to save a child, pet or any life. Don’t think twice, save a life! The chief concern when faced with such a dilemma is “What is my personal cost or responsibility for acting?” Breaking someone’s door glass to save a life may still be considered damage to property leaving the hero at risk, but not anymore. Mobile Glass will cover the full cost of replacement; both part and labor. Our only requirement is a corresponding Police Report or sufficient video evidence. Kristen shows us how to professionally break a car window fast using the Resqme Tool. *1 If you are in a rural area, travel to a metropolitan (pop. 1 million or larger) might be required. I Broke A Car Window To Save A Life -What Next? Our customer service representative will guide you through the rest. If you don’t reach us or it’s after-hours, please snap a picture of the broken window or record video of incident. Someone Is Trapped In A Hot Car -What Should I do? Try to contact someone without leaving the scene; talking, shouting etc. If you believe waiting will risk loss of life, then know Mobile Glass has your back with #Smash2SaveALife! Here is an article from TWC News. Special thanks to their efforts to help spread the word. Not a true “story” more of a share of our TWC story, you can see it here though. The power of social media helped the team at Vic’s Aquarium to find and share our story here, they even called us “heroes” -although I’d save that for the people who break the glass and save the lives! glassBYTESs shared our story on www.glassbuzz.com here. On July 13 the China Glass Network shared our campaign, you can find that here. Here are the updates from our #Smash2SaveALife Campaign in Colorado. The word is spreading in Colorado Springs here’s a link to KKTV’s article “Company hopes to help with hot car rescues“! Here are updates from our #Smash2SaveALife Campaign in Austin. 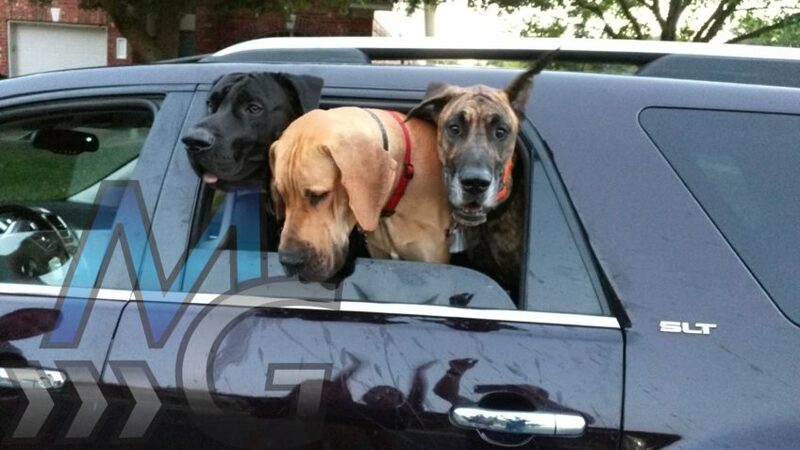 On Friday June 23rd our #Smash2SaveALife Campaign in Austin got a HUGE bump from RaeAnn Christensen and Fox 7 News with their report “Local glass company hoping to help save pets and children left in hot cars.” It was a pleasure to have Kristen assist in bringing our 3 Mobile Glass Mascots (3 Great Danes shown at the top of this post) to meet RaeAnn and discuss the dangers of hot cars and pets/children. RaeAnn was a really friendly and informed reporter; she was even showing us the true temperature of the ground and surfaces. I mention this because I learned something quite shocking -my guess would be 120 or so for the sidewalk, but actually it was over 140 degrees!! That could easily burn puppy paws! Here’s the full story Community Impact Northwest Austin did on July 22nd “Research Boulevard’s Austin Mobile Glass launches their #Smash2SaveALife Awareness Campaign.” Really awesome to have the story get out to as many people as possible. Thanks Community Impact!!! These heroes have just made the entire United States safer for children and animals. Let's hope that other firms stop up to take on some of the burden. - Vic's Aquarium and Pet Shop!